Sometimes, the greatest gifts in life come in furry little packages. 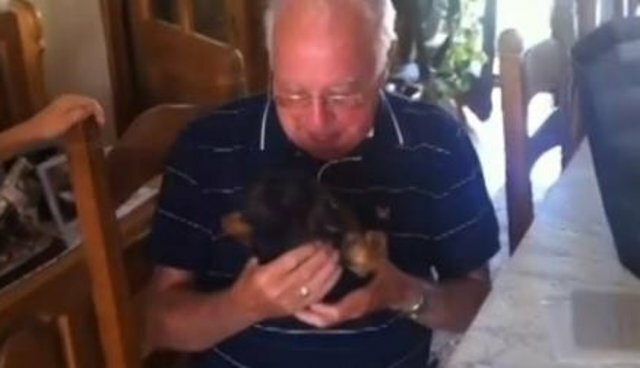 YouTube user Davy Vanhaesendonck shares the touching moment he and other family members presented a new puppy to their grandfather, who was recently left widowed and alone after his wife of 63 years passed away. "Grandpa also lost his doggy all within 4 months," writes Vanhaesendonck. "To give him energy and the courage to continue his life... We gave him this present. A moment filled with emotions!"